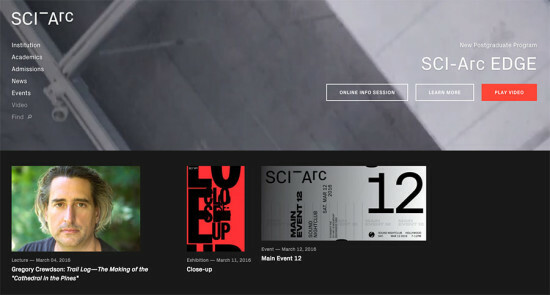 Screen grab of SCI-Arc’s new website. The mark of directorial change is happening at SCI-Arc. It’s not just a new website with modelesque faculty photos, but keen observers have tracked a gradual darkening on campus. Touches of black are spreading through the library and offices. Gone are the schools trademark wooden seminar tables, replaced by sleek, black showroom furniture. Kylo Ren would feel at home.